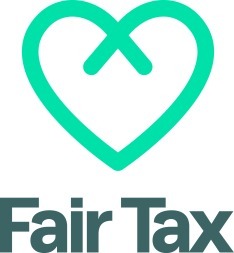 Now of course I am biased: I thought up the Fair Tax Mark. But I would agree anyway. 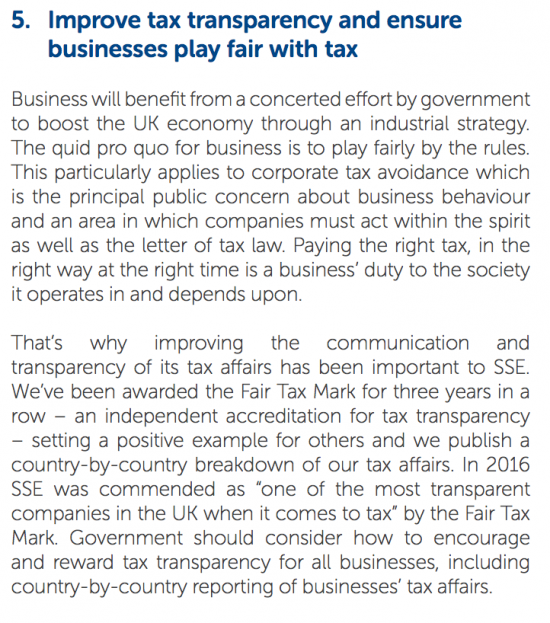 It is such a shame that with all the Fair Tax Mark effort there aren’t more large companies with it and it leaves having to use SSE as a cheerleader. They have poor customer service, a conviction for failing to pay minimum wage and I agree with your statement that they are a rent seeker adding no value to an industry and service that should be nationalised. What can we do to get some more big companies to sign up? The list of FTM companies needs more companies and some big hitters given how long you’ve been working at it. Such a shame your great idea is proceeding so slowly. 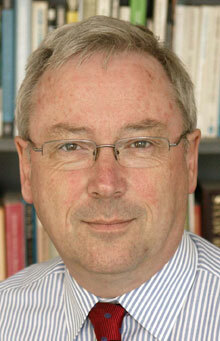 Dr Crenshaw can’t be right can he Richard? A conviction for failing to pay NMW? Perhaps you should add NMW to your criteria for a FTM? Clearly SSE can’t have been paying the right amount of employers’ NIC at the right time if they weren’t paying NMW. I know you said that there are subjective criteria so you can block anyone you don’t like who DOES meet the criteria but it seems strange that you give it to someone who breaks the law. I do hope it wasn’t the big fat fee from SSE that swayed you. That’s great to know you considered it in the variables and worked through it. I’ve just seen that Midcounties Co-op also got into trouble under minimum wage legislation and they also have a Fair Tax Mark so it’s good to know non-tax issues get considered in evaluations and paying Fair Tax is by far the overriding consideration.